Ballroom in Boston will host a special event for Valentine’s Day that will get you and your date dancing. The studio is located just over the Watertown line at 300 Western Ave., Floor 3, in Allston. The studio is owned by Rotary Club of Watertown member and past president Lilia Weisfeldt. 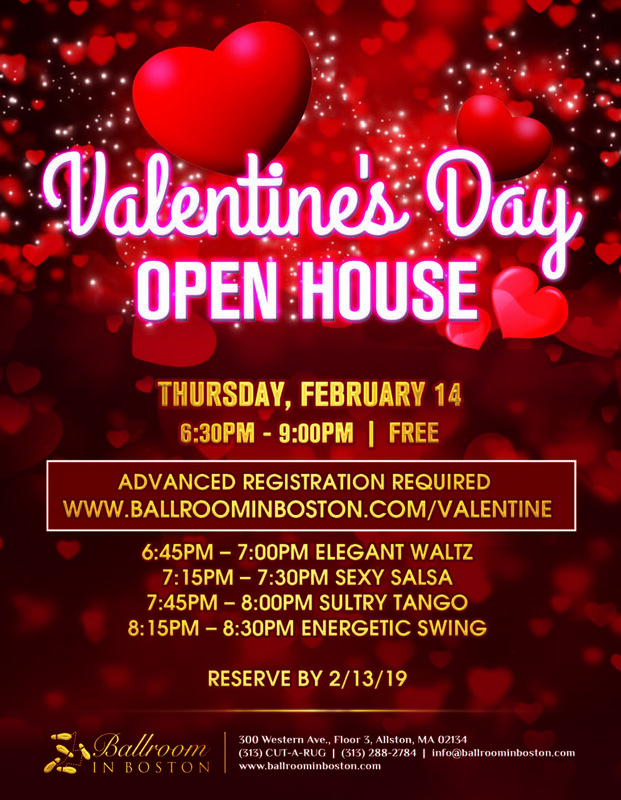 This Valentine’s Day add romance, dancing, and fun to your date night by coming to Ballroom in Boston’s FREE Valentine’s Day Open House! No experience required. Perfect for beginners!